G.B. 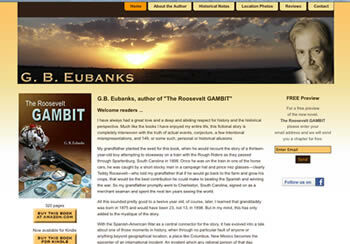 Eubanks - author of "The Roosevelt Gambit"
Ben Eubanks needed a new website to replace one that had been created with a do-it-yourself website solution. He also wanted the new website to be managed by someone who could also provide other services he did not have technical staff to handle. That is exactly the kind of managed hosting The Idea Factory provides through TIF Hosting.com. Do you have a similar need? Contact us.